The 1921-S is both a low-mintage issue with only 1.5 million struck and it is one of the premier strike rarities in the series. 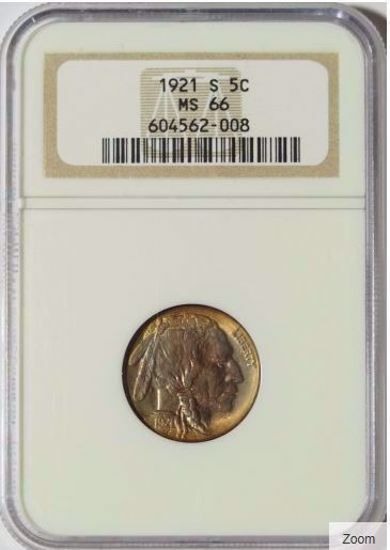 This is a stunning 1921-S Buffalo nickel, and it is tied for the finest that either NGC or PCGS have certified. The strike is bold. 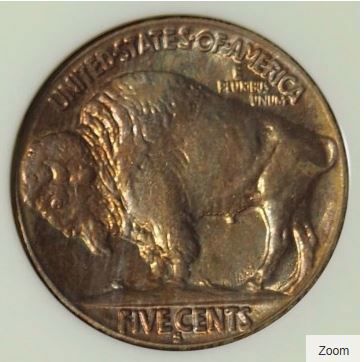 The 1921-S is one of the S-Mint keys to the Buffalo nickel series, and rarely found in this condition. The mint luster in this piece is frosted and each side displays rich reddish toning with occasional bits of lilac interspersed.